Everyone knows that you can make (or lose) money in the stock market. Let’s dive into the other “stock” market and discuss how to make money farming with livestock. For most homesteaders this means cows, but it could mean bison, water buffalo, sheep, goats or pigs. What about chickens, rabbits and other animals, you ask? I’ll cover those enterprises in another post. Let’s just define livestock as hooved animals, and for now, we’ll talk about raising cows for the grassfed beef market. To get started, you’ll need adequate pastureland to accommodate these voracious grazers. But they’ll do wonders for you, both returning fertility to the land and cash to your bank account. Here’s an example of how they’ll do that. If you were to purchase a young bull for $1,000 and five ready-to-breed heifers for $1,500 each, your $8,500 investment will likely produce five calves that will be fed for free (by their mothers and your pastures) each year for 12 to 15 years. What can you do with these calves? You could sell them as stockers when they are weaned for anywhere from a few hundred to, perhaps, a thousand dollars or so each, depending on market conditions at the time. However, if you were to finish raising the calves as organic grass-fed beef, it is likely that each calf would become worth at least $2,200 for you (net). This assumes selling to consumers in urban markets. Often the prices are even higher than this and prices have been rising steadily over the past few years. That’s in your favor, but keep in mind that there is a ramp-up period of a couple of years before you realize any income, since it will take roughly 24-28 months to “finish” the cows. This delayed cash flow is why many farmers layer other livestock enterprises, such as pastured poultry and pigs, atop their grassfed beef enterprise. The poultry and pigs will return cash much more quickly. However, since they require purchased feed, much more intensive management, and higher processing costs, you’ll find they’re not nearly as profitable as grassfed beef is. Once your “beeves” are ready for market beginning in year three, those five heifers (now cows) will be throwing off about $11,000 per year in gross profit ($2,200 per calf X five per year). If they do this for 12 years, then your initial investment of $8,500 for the bull and heifers will return a gross profit of $132,000. Again, that’s only with one bull and five cows. If you have the land you an multiply the herd size to fit your resources. Try safely getting those returns in the financial stock market. The nice thing about this financial model is that it’s very safe. Even if you lack the skills or time to market the product as beef, you can always sell to private buyers or at sale barns. Unlike with pieces of paper, such as worthless stocks, I’ve never heard of anyone having a total loss with livestock. Staying with this scenario and assuming each cow needs one acre of grazing land, you will need approximately 16 acres of pasture. This is for, A) the initial bull and five cows (6), B) the five calves born the first year that will take two years to grow (5), and C) the five calves born the second year (5). After the second year the five grown calves will be sold or processed, clearing the way for the five new calves born the third year, keeping the pasture demand static at 16 acres. Now, there are entire books on this topic, such as Grass-Fed Cattle: How to Produce and Market Natural Beef, and I encourage you to read them if this path interests you. We raised and marketed grassfed beef for years and found it very rewarding, both in terms of the relationships developed with our animals and our loyal customers. That’s my wife and I above with our herd of Murray Grey cattle and Katahdin sheep, and here’s a link to a story CNN did on our farm several years ago. Of course, generating these high returns may require that you purchase land for the animals. While the chart to the left shows the national average value of pastureland to be $1,200 per acre, good luck finding that in most areas. In my neck of the woods, pasture land goes for $3,000 to $5,500 per acre, which is probably a better average to work with for most new homesteaders. So, the 16 acres of land necessary for grazing will cost anywhere from $48,000 to $88,000 (not to mention paying modest taxes on the land), which takes a big “capital” bite out of the gross profit. I emphasize the word “capital” because the land acquisition cost does not reduce your profit since, if you desired, you could sell the land at the end of the 12 years, likely get back at least what you paid for it and still have earned the $120,000. Plus you would still have a dozen or so cows left over. Purchasing land ties up your capital for a LONG time, which is why you are entitled to the returns you can generate through certain farming enterprises. The returns go along with the risk and potential loss of capital. Do you have to own land to raise livestock? No, you don’t, and some farmers follow Missouri farmer Greg Judy’s advice in his book No Risk Ranching. Today, Judy runs a grazing operation of over 1,400 acres of LEASED land over 11 farms. 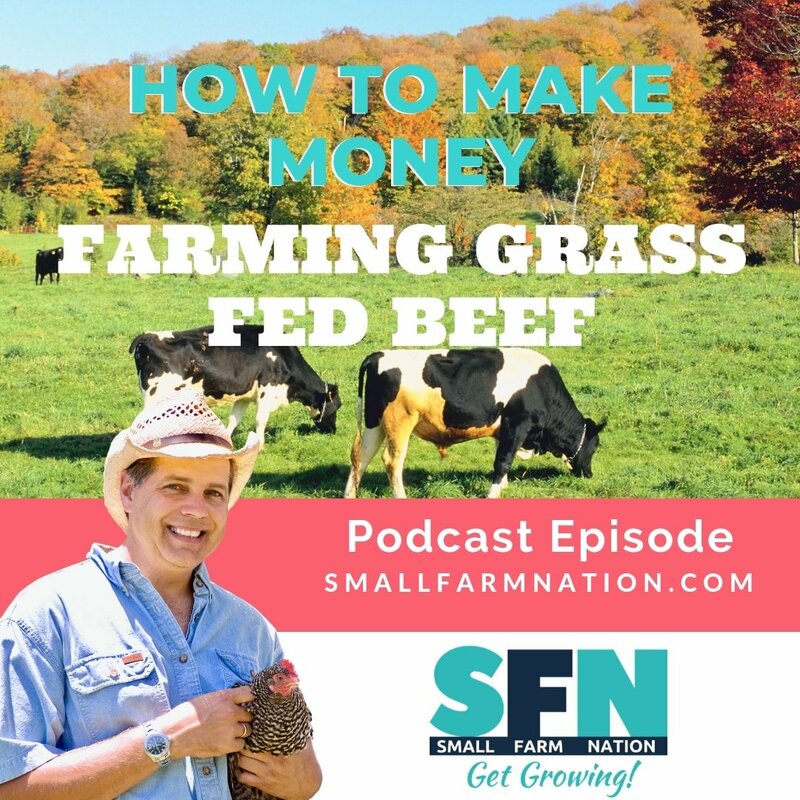 He and his wife went from near bankruptcy in 1999 to paying off a 200-acre farm within three years using his custom grazing model. Using the above example of starting modestly with one bull and five heifers, you could consider leasing pasture land adjacent or local to you for perhaps $30 per acre, per year. Your annual rent would be $480 for 16 acres and you would have no income from the grass-fed beef operation to offset this for the first two years. However, after this, you would generate $11,000 per year in income, far more than you would need to cover the expenses. In this model, however, you would need to lease land that had good water (which will cost you more) or incur the cost of drilling a well. You would also have to fence it, as Greg describes in his book, but you would tie up far less capital. Perhaps you can even be debt free! You may incur other minor expenses such as hay when grass is not growing, vet bills if you plan to use vets, and, of course, taxes on the land you own. But the income will drastically exceed the expenses… IF… you can market the product successfully. I cover marketing homestead products in chapter six of How to Make Money Homesteading. If you need some help/advice in marketing, either ask below or join my free Farm Marketing Group over on Facebook. I caution you to avoid exotic animals unless economic times are likely to be very strong. In poor economic times, people want and need basic foodstuffs and materials, and your attempt to market grass-fed zebra may prove more challenging than you expect. Stick what people want and know, unless you’re an amazing marketer. Stick with beef. You can do similar calculations to scale this model up or down to suit your needs. The point is this: putting cows to work allows you to generate a stream of FUTURE income, improve your soil, and create wealth over time. Bottom line? There is big income potential with large livestock, but it requires land and the confidence to handle large animals.